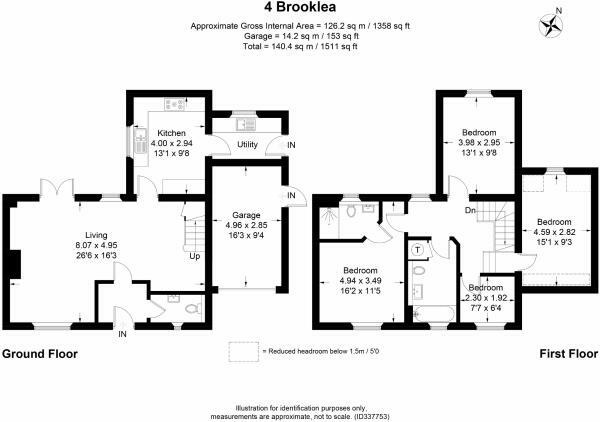 4 Brooklea Lane is a unique, detached four bed house with family bathroom, ensuite and cloakroom. The house is positioned next to the brook and enjoys lovely views over neighbouring farmland. There is a large integral garage with additional parking space adjacent. External access to the garden is possible from both sides of the property.